1907 1:2,500 OS map. The rebuilding of the station was completed in 1904. 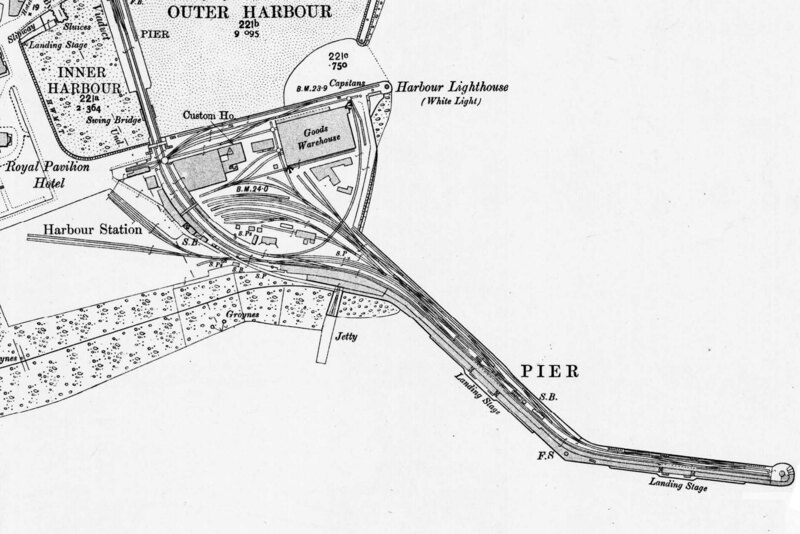 A third platform is to the north of the jetty seen in the centre of the map. This could not be physically joined to the up platform because of the trailing line to the four carriage berthing sidings..